Excellent location, central to everything,wonderful sea view from bedroom, clean pool, really surprised at value for money, would defo book again. There was a comfortable king size bed and a tidy bathroom. Parking is in front of the building. 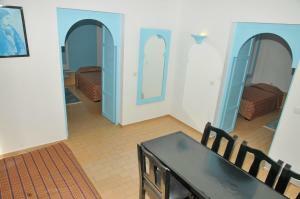 The accommodation was quite spacious, included more or less anything needed and was relatively cheap. 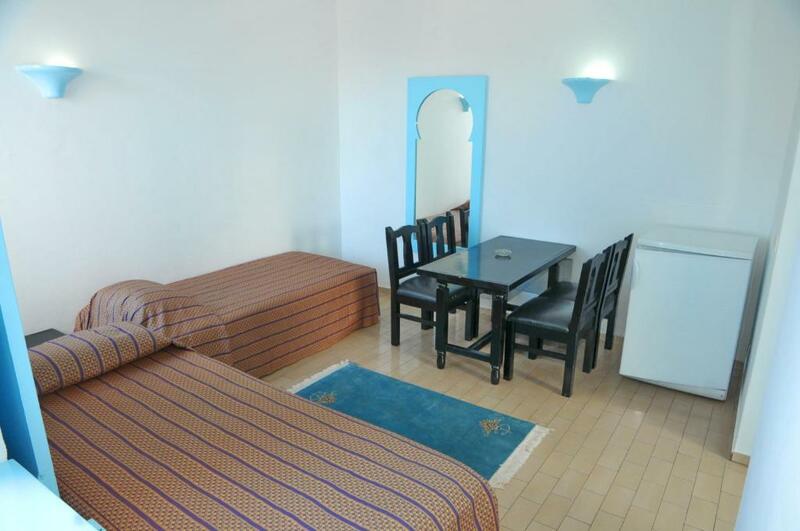 Easy to get from airport by taxi and easy to walk to the beach. 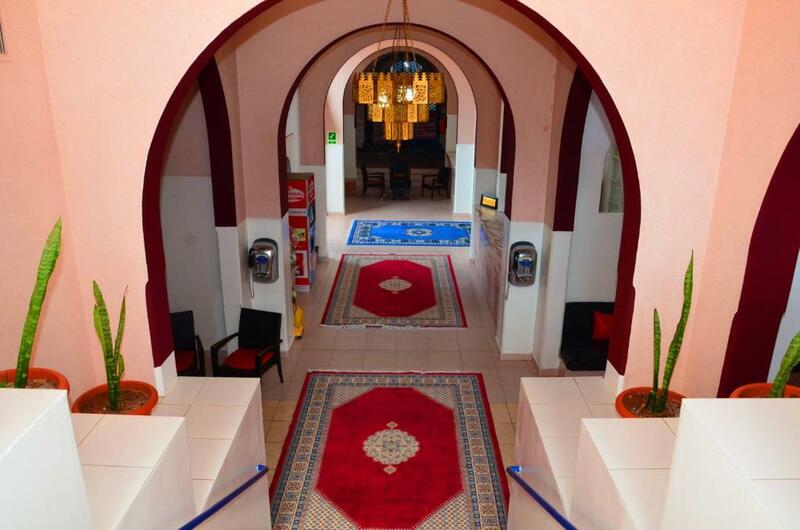 The staff were very friendly and the rooms were clean and cleaned daily. We only used the pool late in the afternoon after coming back from the beach, and although it's not aesthetically beautiful it is clean and quite big. The location was also good, only a few minutes walk to the beach and your spoilt for restaurants. If you want to cater for yourself the supermarket is a 20 min walk but they do have a mini mart with some basics attached to the hotel. Friendly staff who went out of their way to be helpful. The room was spacious and cleaned every day, with fresh towels. It was a short walk to the beautiful beach and close to the restaurants and cafes. We spent just 1 night here with 6 friends. The location is perfect, easy to find, and easy to park by car. The city center and the beach is just walking distance. Apartaments are enough big and comfortable. Excellent breakfast, best we had all week and hosts made us a vegetable tagine in the evening which was also excellent. Roof terrace too. Hosts very friendly. 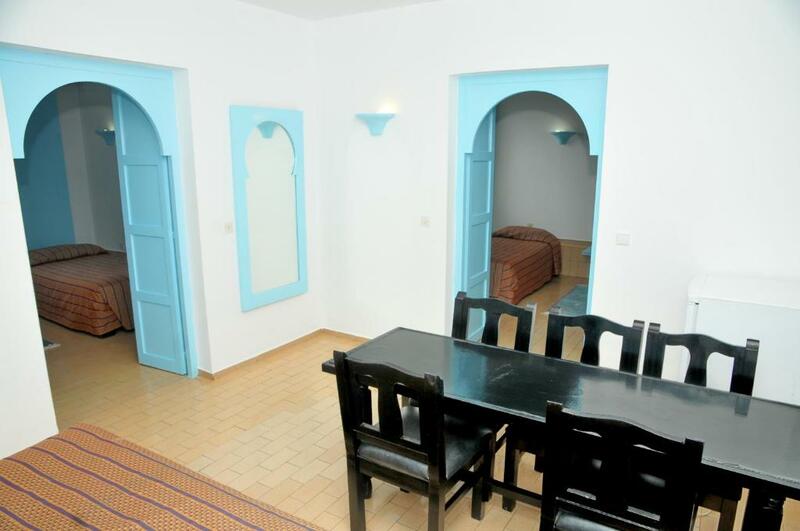 Résidence Igoudar This rating is a reflection of how the property compares to the industry standard when it comes to price, facilities and services available. It's based on a self-evaluation by the property. Use this rating to help choose your stay! 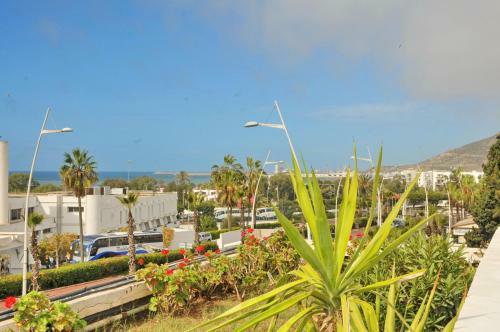 A short distance from the beach and central Agadir, these apartments with a swimming pool, shaded patios and warm and friendly service are the ideal place for a family vacation. 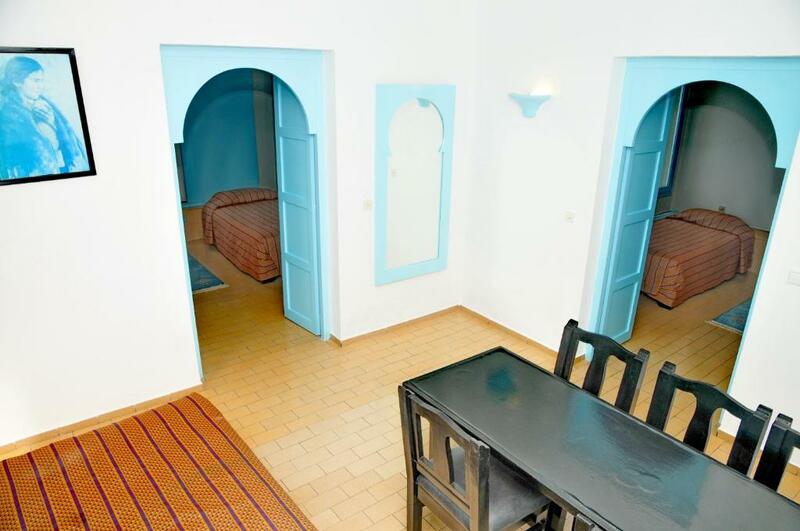 With their Andalusian-style architecture, the apartments at Résidence Igoudar are bordered by a small, well-stocked grocery store. A choice of restaurants and shops can be found nearby. 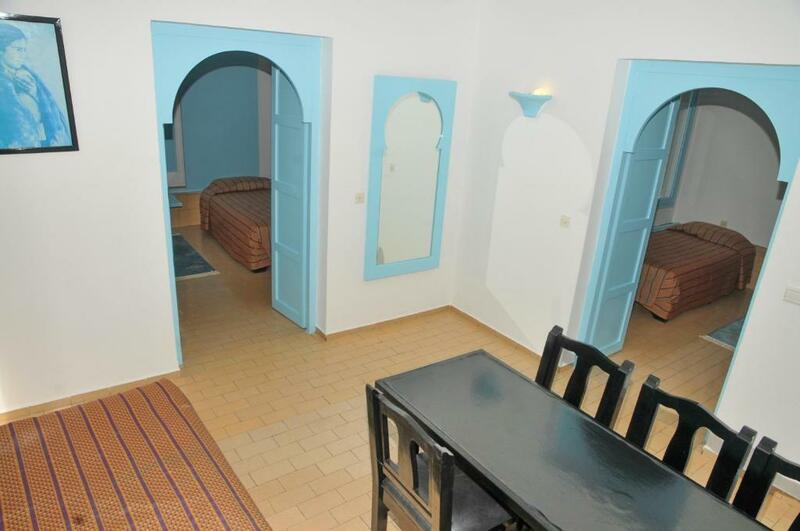 When would you like to stay at Résidence Igoudar? This apartment has a fully equipped kitchen, seating area and a private bathroom. This apartment features a kitchenware, seating area and kitchen. House Rules Résidence Igoudar takes special requests – add in the next step! Résidence Igoudar accepts these cards and reserves the right to temporarily hold an amount prior to arrival. It did look a bit dated and there was no WiFi available past the reception and poole area, which isn't really a problem but most of the time u did try to connect it would say 'connected with no Internet' so I don't think it's very strong and is quite annoying when you want to quickly check directions to somewhere etc. Also, and again not really an issue as it's warm weather but we had no hot water either. Apartments need renovation badly, especially the bathroom, facilities in the kitchen. Heating did not work and it was cold at night in February. No electric kettle in the kitchen, stove was hardly working. Good location, friendly staff, apartment was cleaned everyday, had all the basics you need for living. Good price. We had a nice room. Not all are. Kitchen was too basic with only two electric rings available. Eating out so cheap it didn't matter for an 11 day stay. The bathroom taps are rather old, but there was a plentiful supply of hot water after 8,15 am. Wifi was in the lobby only. It is located pretty close to the beach. Price is cheap. Pool. 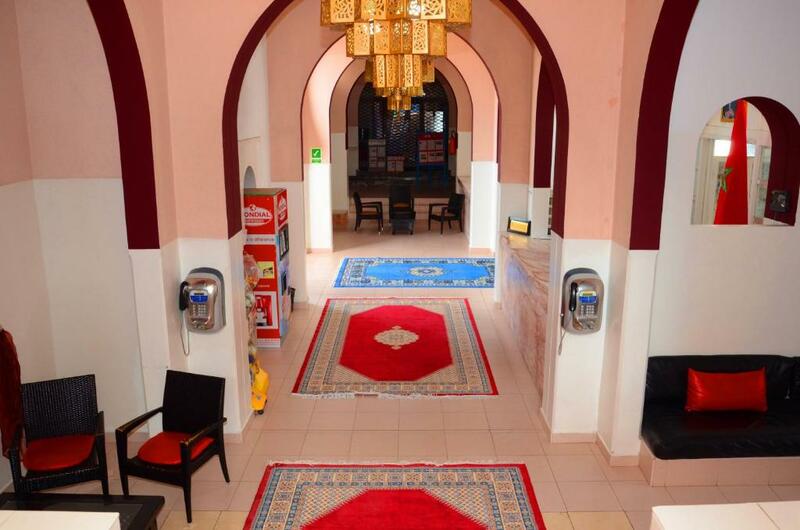 I can not believe how bad this hotel is, first of all they tried claiming local tax of us which was 20 Dirhams, regardless gave it to them. Poor costumer service, unprofessional, also I would like to add the hotel is not clean. Beds made out of rocks, seems like we was living in the stone age, to make matters worse they accused us of stealing a towel which cost 20dh / £1.50 ish. I highly recommend not staying here, I never do bad reviews how ever I have to put my time and effort on this one just to warn others! Happy holidays. The water was really cold in showers as there were some maintenance were going on.In last two days of my stay it fixed and it was really good. 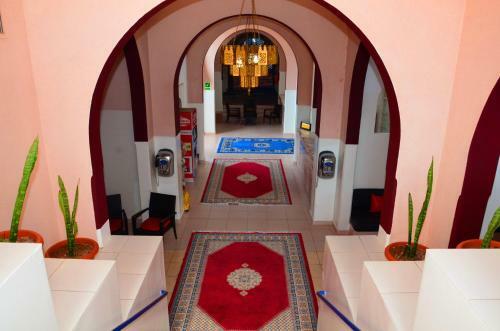 The location was really good Beach is in walking distance The hotel was really clean Rooms were Really good Friendly staff The swimming pool was really clean,Children absolutely loved it.